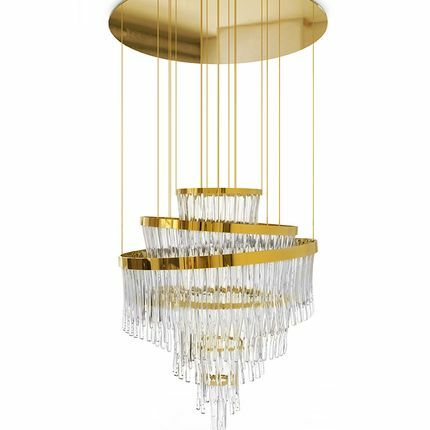 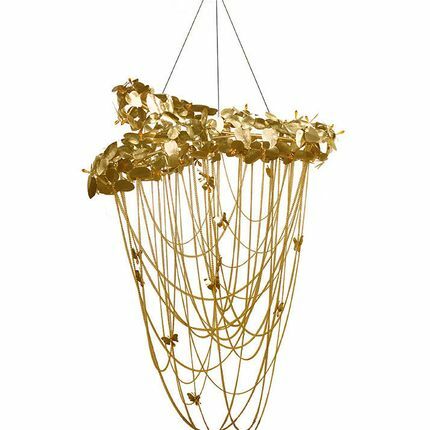 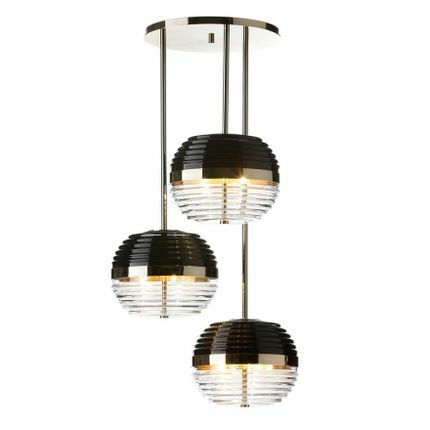 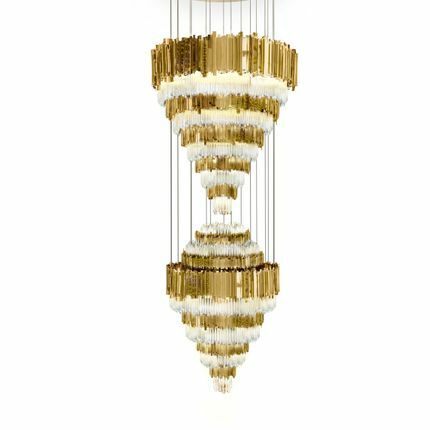 Inspired by the "wormhole", which in astronomy is the tunnel that connects two universes, this striking six-light brass chandelier is equipped with aluminum shades that evoke the shape of a passage between two places. 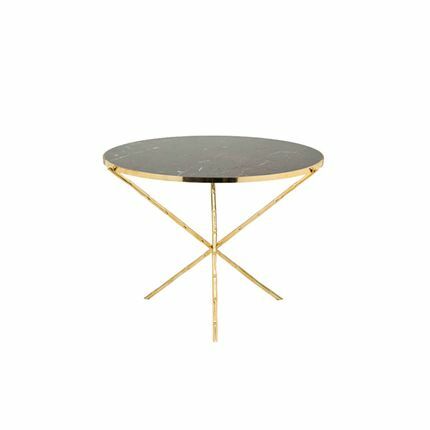 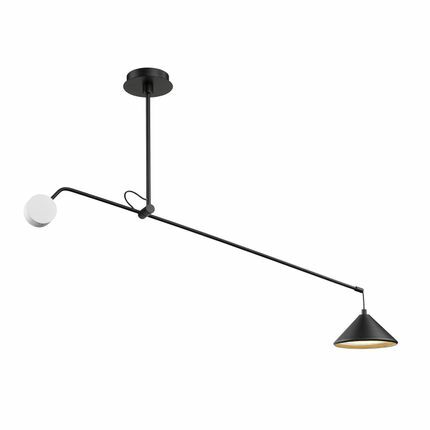 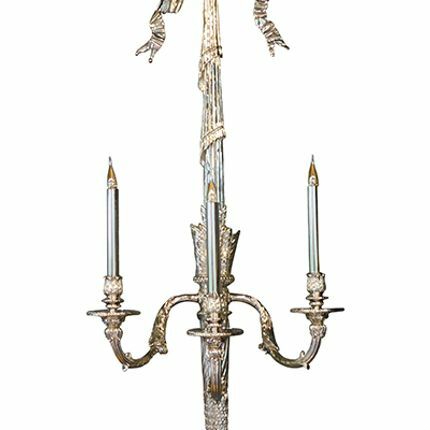 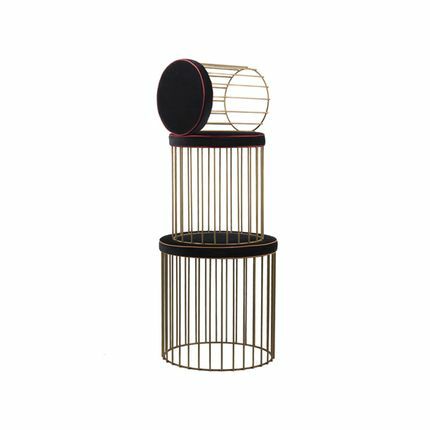 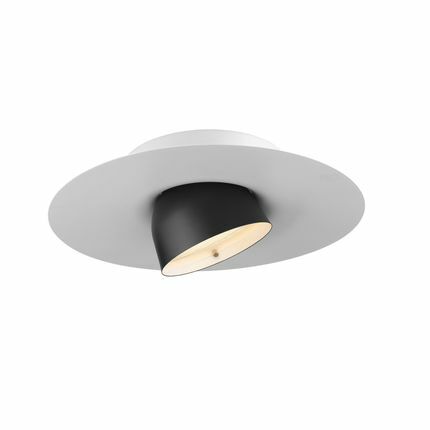 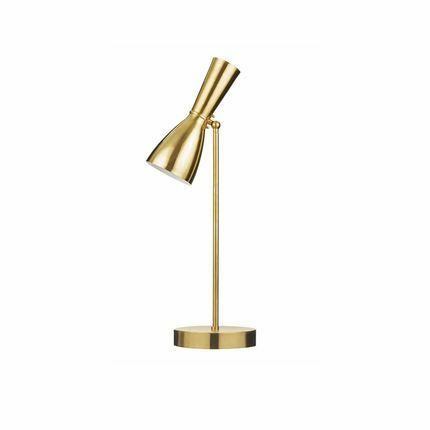 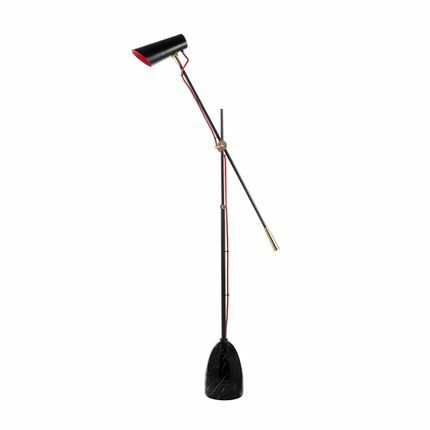 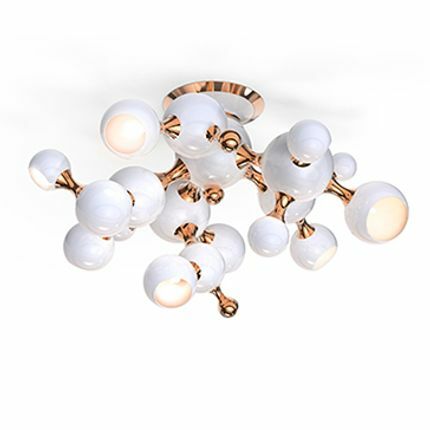 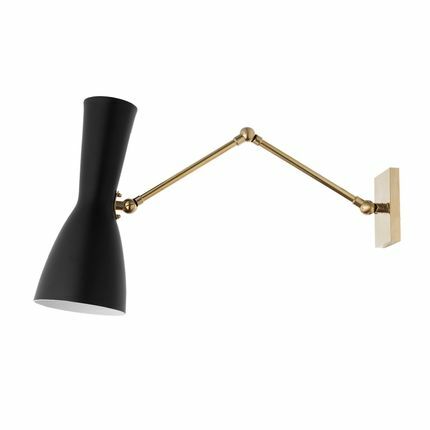 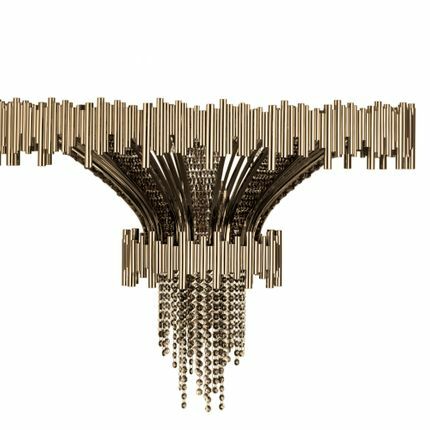 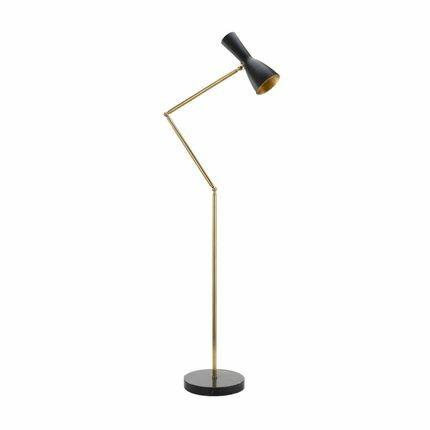 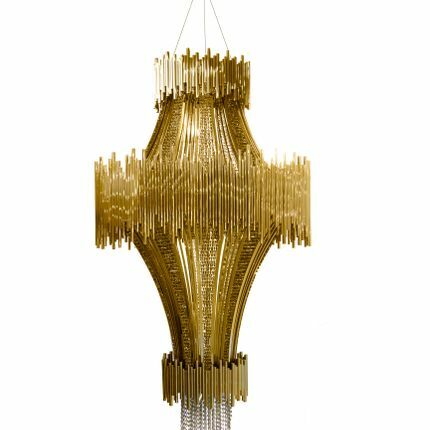 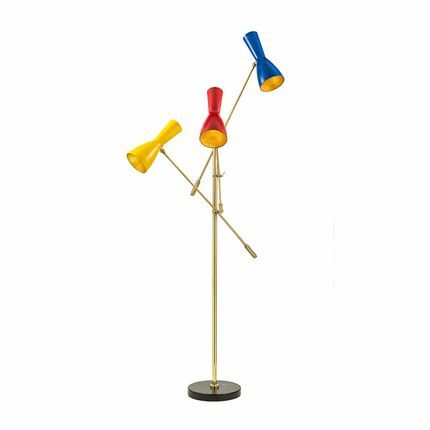 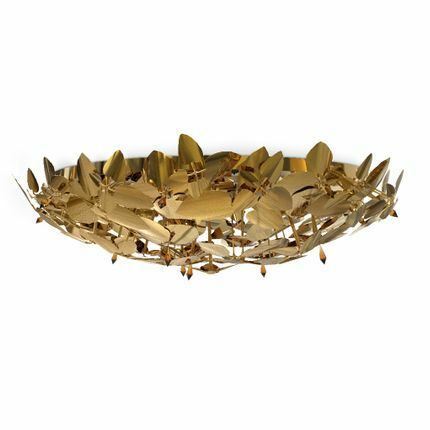 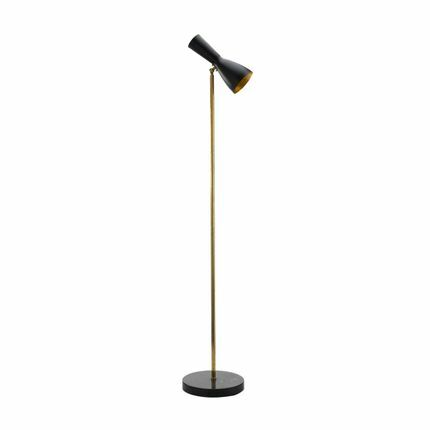 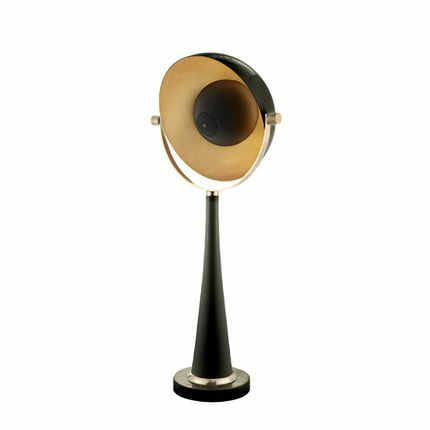 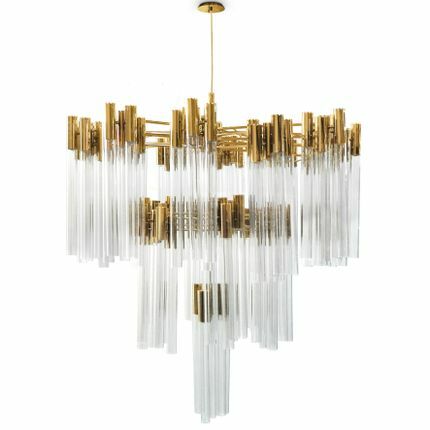 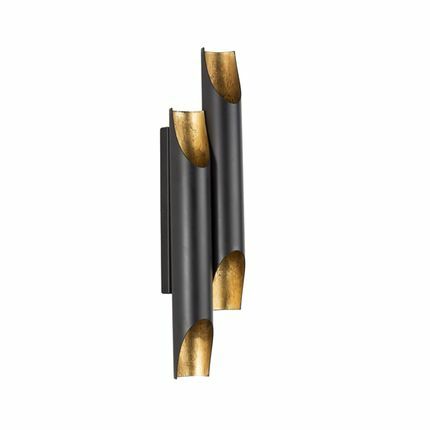 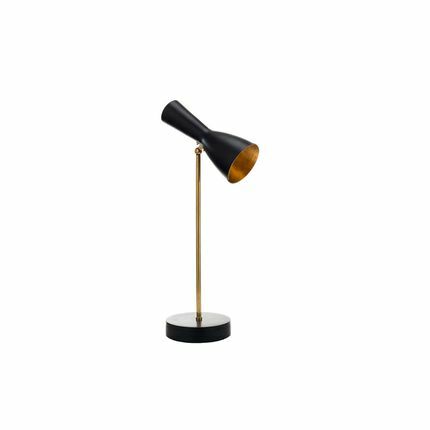 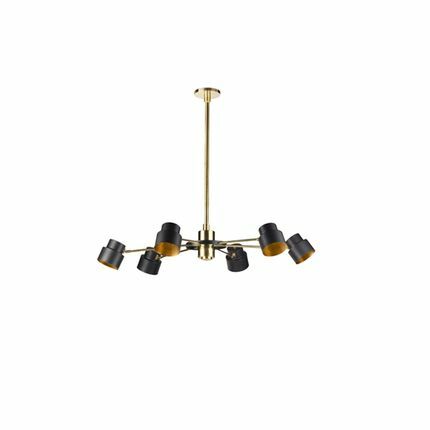 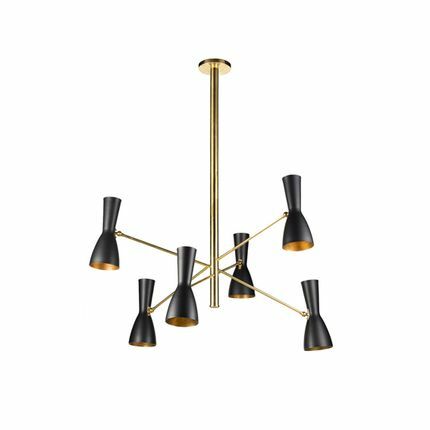 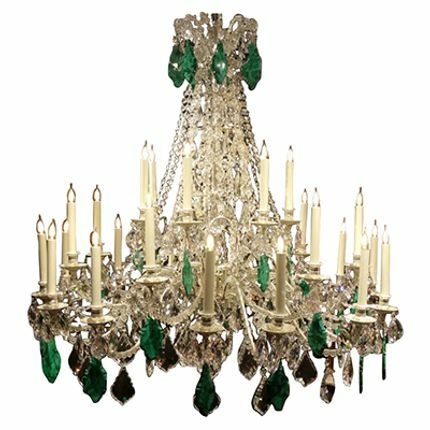 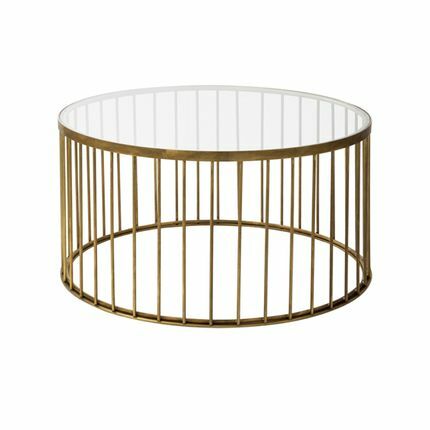 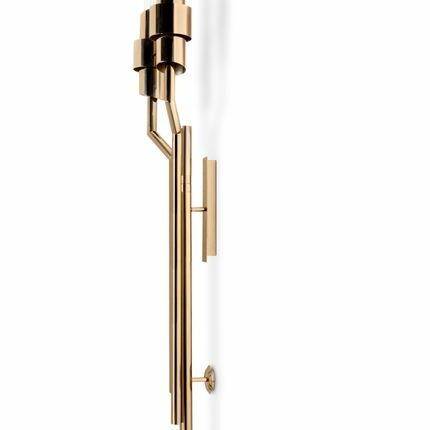 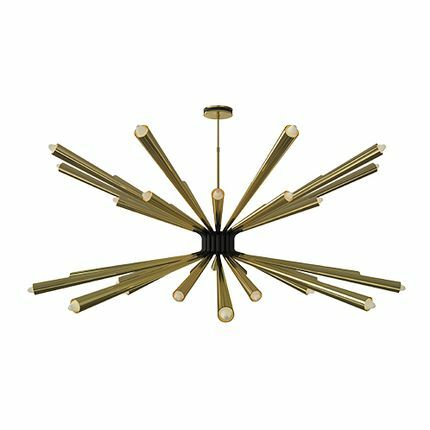 The modern and sophisticated structure of this piece mixes straight lines with the warm glow of the brass. 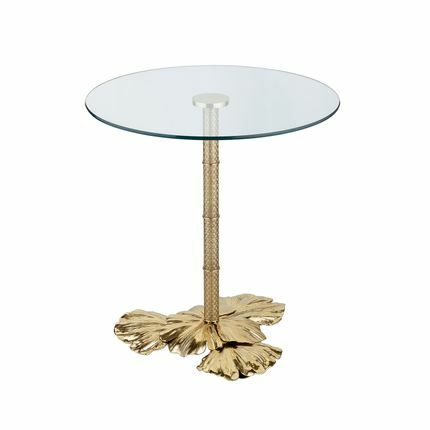 The shades are black outside, while the inside is coated with precious gold leaf.